photo, originally uploaded by Walters Art Museum Illuminated Manuscripts. The Archimedes Palimpsest suffers from mold, which we needed to investigate. Abigail Quandt had it looked at with an SEM. 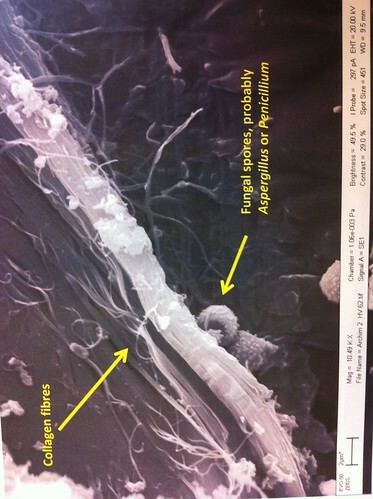 Here is the result showing the collagen of the parchment, and little mold spores.